The perfect base is the backbone of any makeup look and arguably the hardest product to get right—particularly for dry skin. And I should know. Selecting a foundation for my arid complexion is like stepping into the climactic chalice scene in Indiana Jones and the Last Crusade: Choose wisely or risk morphing into a crypt keeper lookalike. But regardless of the formulation and texture—liquid, cream, mousse, long-wear, gel cream—I’m usually caking, pilling, flaking, and looking dull within hours. Then there's the issue of coverage. Ideally, it would be substantial enough to camouflage my rosacea without feeling like a mask. 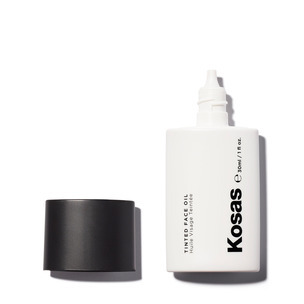 Enter Kosås Tinted Face Oil, an uber-hydrating elixir that promises to deliver a flawless face. When I was approached to test “the future of the foundation,” the offer was a reality check because at 30-something years old, I had yet to find the right foundation. Not wanting to walk another three decades looking rough and dull, I gave Kosås the full test drive: just the Tinted Face Oil, nothing else, all day, in public. When VIOLET GREY's beauty director handed me a tube of shade 06 I was eager to try it out. A little too eager. I opened the face oil only to have the formula coat my entire hand. "You're going to want to shake that first so it emulsifies," she told me. Noted! What surprised me most wasn't my clumsiness, but rather how quickly my skin absorbed the face oil, which allowed the pigment to spread sans streaking. It felt amazing. And because I had made it clear that instructions were necessary, I was directed to apply in the same way I would my moisturizer—no blending required. When it comes to the finish, especially on dry skin, the last thing you want is a chalky effect that feels and looks parched. And perhaps because you’re always chasing what you can’t have, I tend to favor a fresh, dewy look. Thanks to a blend of six active botanical oils, the Tinted Face Oil leaves skin remarkably supple. Each of these natural oils boasts a unique benefit: avocado oil cushions the dermis and intensely hydrates; meadowfoam oil locks in moisture and plumps; red raspberry repairs and tones; jojoba soothes; green tea acts as a defense against pollution and free-radical damage; and rosehip seed brightens and clarifies. This extreme nourishment not only feels luxurious, but also ensured that my complexion continued to appear youthful and healthy for the entire wear. Think: the glow you get from a facial with a velvety touch. My rosacea appears from the eyes down, tracing a halo around my mouth and leaving traces along my jaw. So how did something as lightweight as Kosås perform? Surprisingly well. Part of the genius of this oil is how much control you get in a drop—literally. One drop is enough for sheer coverage, two to four drops amps up the formula to medium coverage (great for evening things out in general), and four to six drops gives you full coverage (enough to conceal my blemishes). At each level, the product minimized my pores but didn’t settle into them, and my skin could breathe. My face felt naked in a good way. But how long did that last? LONG. I had the same suppleness that I tend to achieve only with multiple spritzes from a face mist. At the end of a day out, dinner, and a few drinks (which is pushing it with inflammation), there was no tightness whatsoever. Variations in tone throughout my face and spontaneous flare-ups make color matching a challenge I fail 99 percent of the time. The Tinted Face Oil solves for this with optically blended, self-adjusting color. Yes, this is a real thing, and it’s why the line carries only 10 shades (it serves more than 30 skin tones). So if you tend to be intimidated by offerings four times that size, like this writer, this goof-proof factor will finally make it easy to find the perfect foundation. 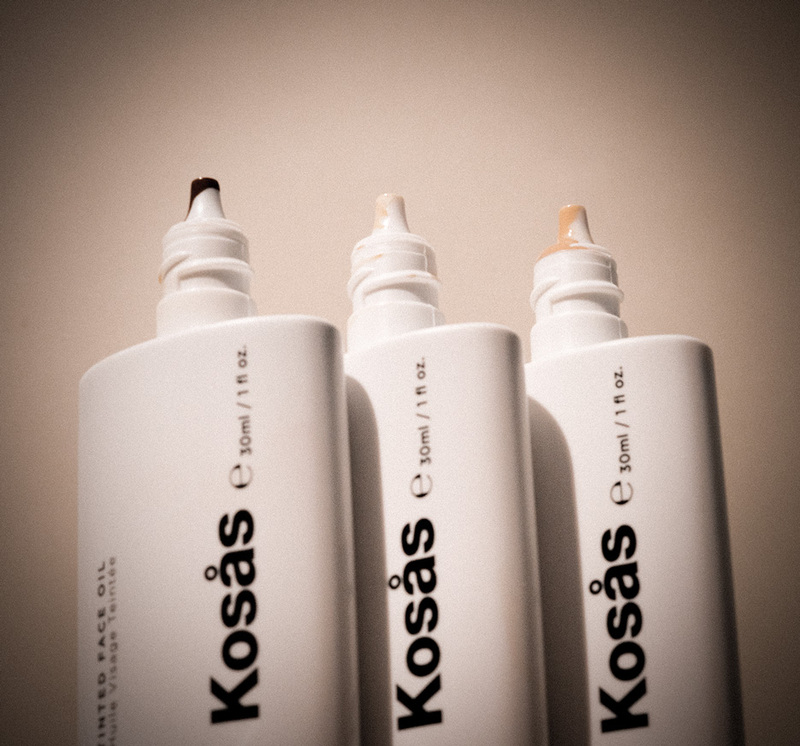 Discover Kosås Tinted Face Oil now.